View from river of malt house. In the background is the south side brewery of the same company. There are two steamboats, one large, one small. 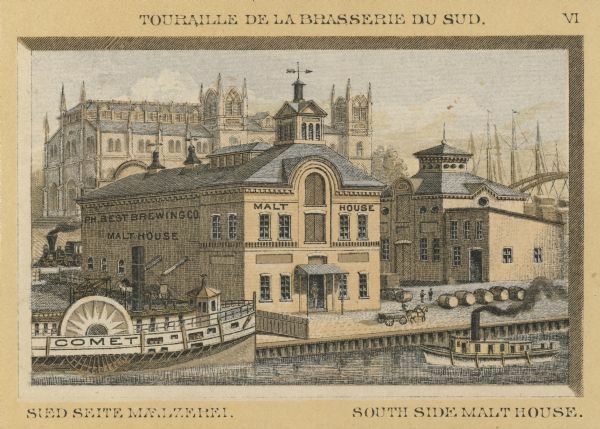 Behind the malt house on the left is a train engine, and on the right behind a roof are ship masts.